The FarSync X.25 T4E+ product is a high quality X.25 solution for business, government and military applications, it has been developed to provide high performance, versatile X.25 connectivity for Linux and Windows systems. 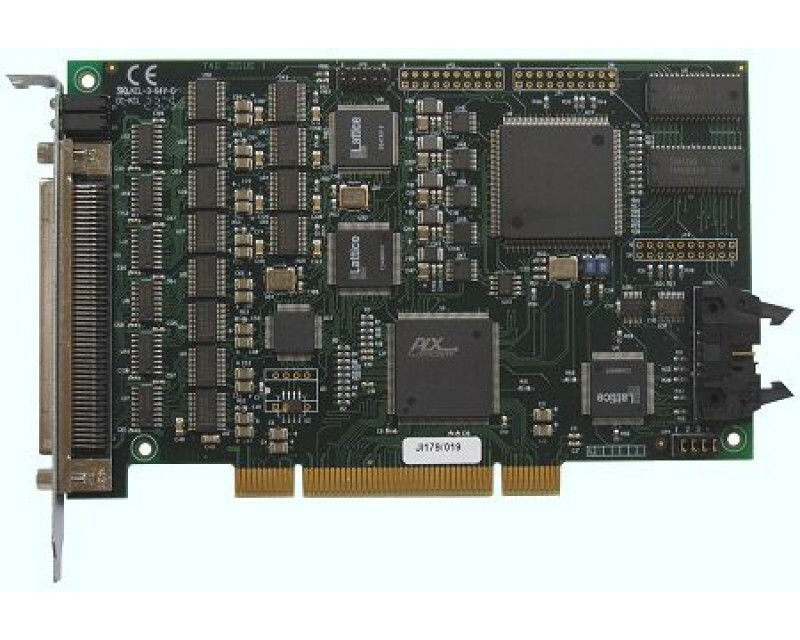 The Universal PCI card will support 4 X.25 lines at speeds to over 2.048 Mbits/s. The highly flexible universal network connector supports RS232C, X.21, RS530, RS449 and V.35 network interfaces. - The T4U card installs seamlessly as a plug and play device under the popular Linux 32 and 64 bit distributions. The card supports Linux kernel versions 2.6 to 3.8 in 32 and 64 bit formats, including the leading distributions supplied by Redhat, SuSE, Mandriva, Debian, Ubuntu, Fedora, Slackware, CentOS and more. SMP (multi-processor) systems are supported. Configuration is by a Java based GUI. - There are APIs to the X.25 layer, a Sockets based interface and a Java API. There is also an API to the ISO Transport layers (ISO 8073 - connection oriented). - IP over X.25 support is included permitting TCP/IP operation over an X.25 network. - XOT (X.25 over TCP/IP) support is available as an option, using the same API's as X.25. XOT can operate at the same time as X.25. - Up to 254 connections per line are supported as standard or up to 4095 connections using the FarSync X25 High Capacity Pack. - FarSite is committed to supporting the FarSync X25 T4U on new versions of Linux and Linux kernels as they are released. The source code for the driver and the libraries for the API are supplied with the product, allowing rebuilding by the end user for use with almost any of the current or future Linux variants. The driver supports both big-endian and little-endian memory storage formats. - The T4U card installs seamlessly as a plug and play device under Windows 8, Windows 7, Vista, Windows XP, Windows Server 2008 and Server 2008 R2, and Windows Server 2003. 32 and 64 bit Windows operating systems are supported. - The X.25 software has a host of features including ISO Transport (classes 0 to 3), support for OpenFT FTAM, a WinSock2 compliant Sockets API, a Java API and a COM Port API. The Sockets API is also accessible from .NET applications. - Up to 4095 connections can be supported using the FarSync X25 High Capacity Pack or 254 per line as standard. X.25 Developers Toolkit: A comprehensive Developers Toolkit for development using APIs to X.25 and ISO Transport is included with each product covering Linux and Windows. A multi-port Line Monitor and a Line Statistics application are also supplied.